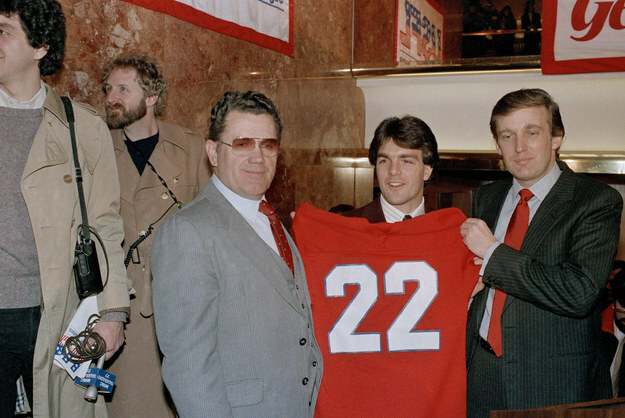 Football hero Doug Flutie says he doesn’t want former United States Football League boss Donald Trump quarterbacking Team America. The maestro of the last-minute miracle would prefer that Trump lose the game he’s currently playing. This entry was posted in Uncategorized and tagged 'Nuf ced, Andrew Kaczynski, Buzzfeed, Donald Trump, Doug Flutie, ESPN, Talk of Fame, United States Football League, USFL. Bookmark the permalink.